Pioneers in the industry, we offer pvc sheet sealing machine, srf sheet sealing machine, mini sealing machine, single head center sealing machine, ldpe sheet sealing machine and single head side sealing machine from India. In order to cater the variegated demands of our clients, we are offering an excellent quality range of Tarpaulin Mini Side Sealing Machine. The MINI Side sealing Machine Mainly Design to seal. The HDPE Tarpaulin from the Corner of the Tarpaulin with automatic Reinforcement of plastic rope. Which give More Strength to the corner of the HDPE Tarpaulin? For Example: if you Have 12x12 size HDPE tarpaulin and you wants to seal it from the corner of the Tarpaulin with Inserting Plastic PP rope you can do it with the side sealing Machine. 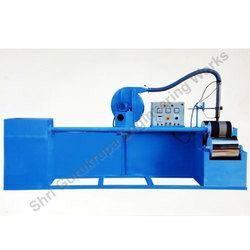 Our firm offers a high-quality range of SRF Sheet Sealing Machine to our esteemed clients. The wide assortment of products offered by us is highly appreciated by our huge client base for their robust construction, optimum performance, and durability. We take into account the different application requirements of diverse industries and offer suitable range of products. We offer an extensive range of Mini Sealing Machine as per client require. For mini sealing machine center side sealing operation can be done on the same machine one by one. A unique feature of this model is having both sides open which help us to join two numbers of panels of 3600 mm and above. The Mini Sealing Machine Seals (along with rope) 25 to 60 m fabric of 70 to 450 GSM per minutes. We have the expertise and infrastructure to offer our clients a very reliable range of Single Head Center Sealing Machines. 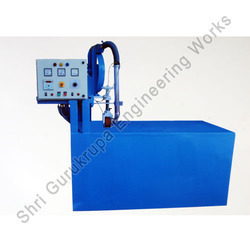 These Continuous Sealing Machines are manufactured using best grade raw materials. 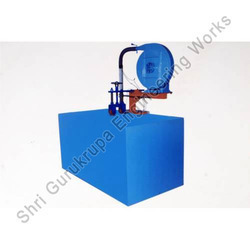 We are manufacturing both heavy duty and light duty machines under this category. Our firm offers a high-quality range of LDPE Sheet Sealing Machine to our esteemed clients. We take into account the variegated needs of our international clients and offer suitable range of machinery. 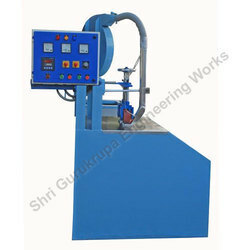 The entire range of machinery is designed and developed by making use of sophisticated and modern machinery. 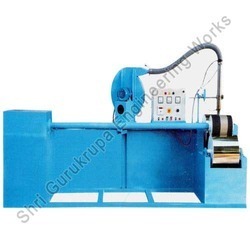 We are the leading manufacturers and exporters of high-grade Single Head Side Sealing Machines. 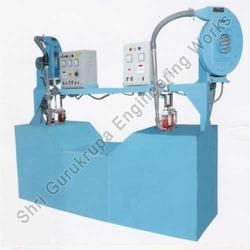 These machines are suitable for capping on different type and shape of vials and bottles. These machines take minimum time to execute the operation. 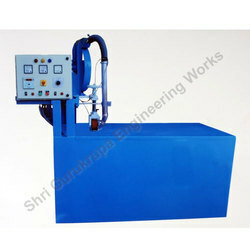 These machines are used for packing and are widely used in various industries. Our company holds expertise in manufacturing superior quality. 1 hp DC drives for machine roller. 1 hp AC motor for Air Blower. Control Panel: In-house electronic and electrical assemblies for blowers etc. Each circuit will be provided with ELMCB for safety plus a heavy duty MCB for the mains. Drive System: The machine will be provided with DC motor (Thruster-Controlled) coupled to heavy-duty reduction gearbox and pulley through the main shaft. Heating System: Forced heated air through nozzles at the nips. Center sealing machine 15 feet long for 4, 6, 8, 10 12 feet width fabrics. The Two Head Side Sealing Machine Seals 25 to the 60 m fabric of 70 to 450 GSM per minutes. We are offering Two Head Side Sealing Machine to our client.